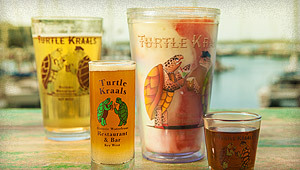 Turtle Kraals earned a spot on Zagat’s list of the Hottest Restaurants in Key West! 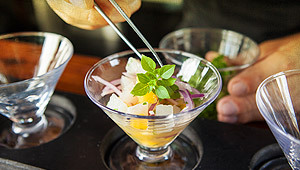 The list named our fresh, Peruvian ceviche as a must-order. Stop by and see what Zagat is raving about, including our live turtle races and intimate upstairs Tower Bar. Our executive chef, Michael Schultz, created the ceviche menu and conducted intensive, hands-on research in the country where the dish originated. Schultz traveled to Lima, Peru and trained with several local ceviche masters. While there, he learned authentic recipes and techniques and the secret of leche de tigre, a blend made with secret lime marinade, aji chile and strong fish stock. After immersing himself in the local culture and traditional Peruvian methods on preparing ceviche, he couldn’t wait to bring the experience to life in Key West at Turtle Kraals. Turtle Kraals’ scenic waterfront setting was also mentioned in the Zagat article and is part of the restaurant’s allure. 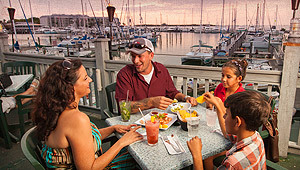 Guests have three different options for dining, enjoying drinks and people watching, including the open-air dining room, the Tower Bar and the outside terrace overlooking the harbor. 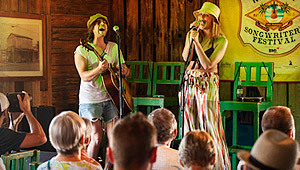 There’s also live music and famous turtle races held during Happy Hour every Monday and Friday at 6pm. 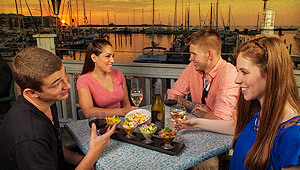 Wherever you choose to dine at Turtle Kraals, you’ll be treated to picturesque views on the Key West bight and the island’s freshest seafood.